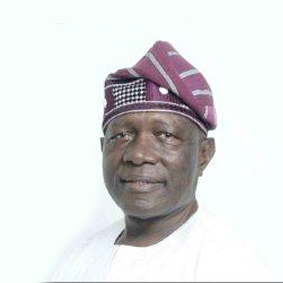 Adelodun Olaiya is the Chairman, Board of Directors, Meristem Trustees Limited. He is widely trained with extensive work experience in various reputable local and international organizations such as the Nigerian National Oil Corporation, Nigerian National Petroleum Corporation (NNPC), Organization of the Petroleum Exporting Countries (OPEC) Secretariat, Vienna Austria. He is currently on the Board of many renowned companies including Real Oil Mills, SALG (W.A) Services Ltd. He was also a Director at Wema Bank Plc from 2003 to 2005 and once served as Chairman of Oyo State Gas Development Committee. Adelodun Olaiya has attended several courses including a senior executive course in Manchester University, England and a directorate course in Financial Management at Stanford University, California.